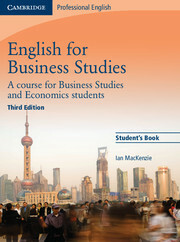 English for Business Studies Third Edition reflects recent changes in the world's business and economic environment, featuring new units including Corporate Social Responsibility and Venture Capital. Covering the most important areas of management, production, marketing, finance and macroeconomics, it helps students to understand and talk about key concepts in business and economics. 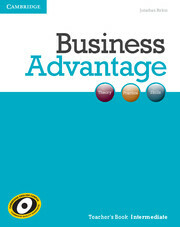 Using case studies, discussions and role-plays, the course helps learners to develop and defend their own viewpoints, and new audio featuring authentic interviews with business people offers realistic listening practice.